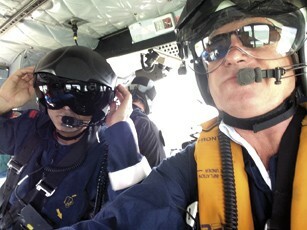 Dr Wynand Breytenbach in Medivac mode. Three years living in a tropical paradise gave Dr Wynand Breytenbach some rare insights into the vagaries of medicine and convinced him that stepping out of a comfort zone was a really good idea. “Life on Thursday Island (TI), the capital of the Torres Strait group, is vastly different to the one most of us know on the Australian mainland. It’s the smallest inhabited island in the region, home to around 3500 people and only 3.5sq km,” he said. The climate might be wonderful for late-afternoon sundowners but it’s not always conducive to promoting good health outcomes. But ss Wynand suggests, he did some interesting health care providing himself. Stepping out of the comfort zone and into a tropical paradise is all well and good, says Wynand, but some things never change. For any doctor thinking about shifting career gears, Wynand gives an unequivocal thumbs-up!